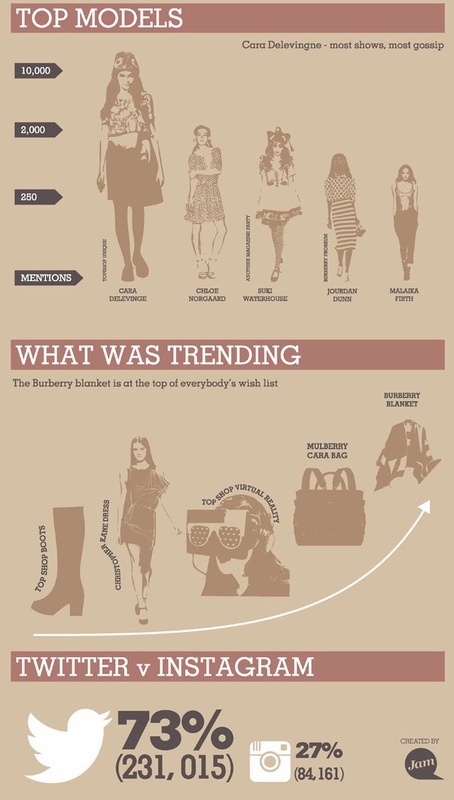 Want to know what we were all focusing on with twitter and instagram during London Fashion Week? Well, the folks over at Jam have done the hard work for us and put together some pretty outstanding numbers in doing so. 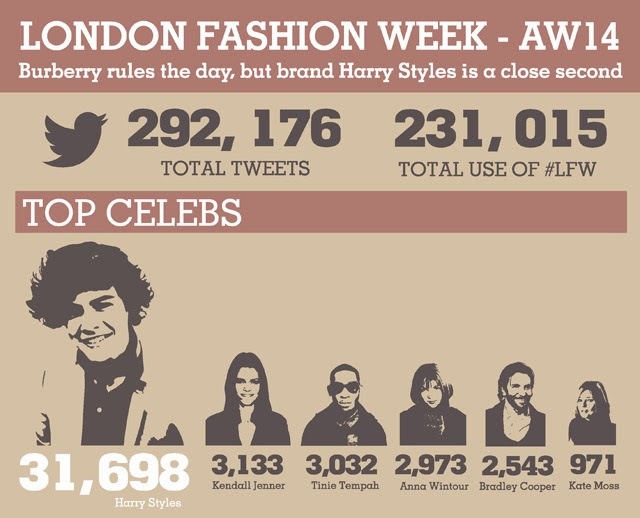 There were over 230,000 tweets referencing London Fashion Week and over 84,000 instagrams. That's a pretty amazing number considering. So what were they focused on? 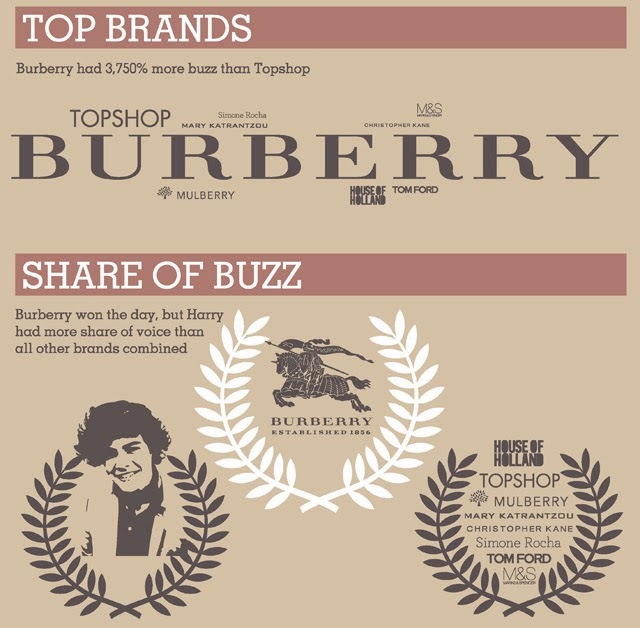 It seems Burberry wins out as far as focus on brands, followed closely by Topshop, Mulberry, Tom Ford and House of Holland. We had quite a few big names at London Fashion Week this year but the clear stand out for AW14 was Harry Styles. No surprise there. What is surprising is how big a gap there is between Harry Styles mentions and Kendall Jenner mentions. She's like a blip on the radar in comparison. Seems we're Harry obsessed, ladies. Oh and Cara Delevingne grabbed the top model spot. So there's your round up. Socially, LFW stacked up quite nicely. Now onto September!